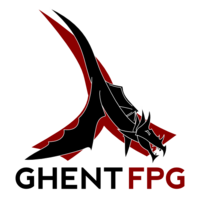 The "Functional Programming Group Ghent" (GhentFPG) is a friendly group for all people interested in functional programming, with a slight focus on Haskell. We usually organize a meeting every two months. If you're located near Ghent, Belgium, be sure to check us out! There is no future meeting pinned at this point. We will update this page and send out mail to the appropriate mailing lists when we have some idea. In any case, there will be no meeting during the UGent exam period (end of May to start of July). Note that future meetings will also take place at the S9 building, on the 'De Sterre' Ghent University campus. 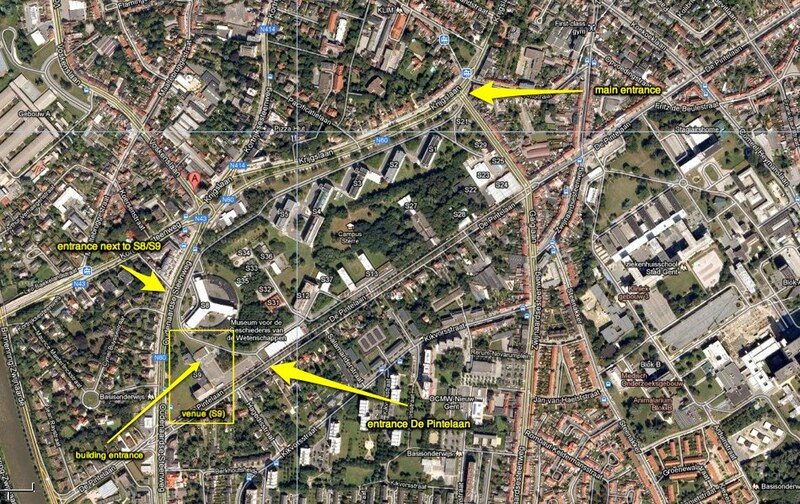 The address is Krijgslaan 281, 9000 Ghent. We convene in the S9 building. And we can also be reached on IRC using the #ghentfpg channel on freenode. There were two interesting talks given during the 12th GhentFPG meeting. Tom Schrijvers discussed solutions to the Flemish Programming Contest that took place at April 18, 2012. He showed (pdf) how to nicely use the non-deterministic feature of the List monad and how one can deal with strings swiftly by using trie data structures. Jasper Van der Jeugt gave a tutorial on parallelisation in Haskell. Slides will be put up later. We had two speakers for the 11th GhentFPG meeting. We relocated our meeting point to the Ghent University S9 building at 'De Sterre', Krijgslaan 281, Gent. Problem solving: on this meeting we tried to solve a number of interesting problems in a functional language. The ninth GhentFPG meeting featured 4 talks. We had one keynote talk and three lightning talks. Andy Georges - hCole-server. Slides. Kenneth Hoste - GA: A genetic algorithm library. Jasper Van der Jeugt - WebSockets. On the eight GhentFPG Meeting we had one talk. The second talk was cancelled due to the speaker being ill. Slides will be posted ASAP. On the seventh GhentFPG Meeting, we had three talks. Slides etc. can be found in this thread . We had our sixth Ghent FPG Meeting (a problem solving evening) on Thursday, February 17, 2011. More information in this thread. We organized BelHac, the first Belgian Haskell Hackathon on November 5 to November 7, 2010. More information can be found on this page. Duncan Coutts (Well-Typed) - Who talked about Well-Typed and how they make a living writing Haskell code. Romain Slootmaekers (Incubaid) - Who talked about how hard it is to get new ideas incorporated into existing companies. Don Stewart (Galois) - Who talked about how Galois is succesfully using Haskell for their projects. Tom Schrijvers - Dictionaries: Eager or Lazy Type Class Witnesses? Abstracts of the talks can be found in this google groups message. Jasper Van der Jeugt - "BlazeHtml: a blazingly fast Html generator in Haskell"
Tom Schrijvers - "Functional Pearl: The Monad Zipper"
Romain Slootmaekers - "Functional Programming at Amplidata : a tentative experience report"
Anonymous - "An introduction to PHunctional Programming"
This page was last modified on 17 December 2012, at 12:57.